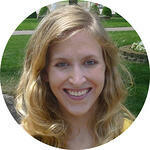 What Makes a Good GED Practice Test? GED practice tests give you a feel for the test, help you learn what topics you’ll be tested on, and find out how much studying you need to do to pass. However, not all practice tests are high quality, and taking a poorly-designed GED practice test can actually end up lowering your score because you’ll study the wrong topics and possible neglect areas you should be studying. Additionally, because the GED was recently updated in 2019, outdated practice tests can also cause you to study the wrong information. The best practice GED tests are those that are closest to the actual GED in terms of length, format, difficulty, and the material they test. When you take a high-quality GED practice test, you’ll get a feel for how quickly you should answer questions to finish the section in time, which subjects you struggle with and need to practice, how the GED words questions, and how well you’re scoring on each section overall. You can then take this information and use it to develop a study plan that focuses on building up your weaknesses so you can pass each section of the GED. In the rest of this article we go over different options you have for GED practice tests. As an overall plan, we recommend taking an official GED practice test for at least the sections you’re struggling the most on, purchasing a prep book to give yourself more high-quality practice tests, and supplementing with free GED practice tests to get more practice in any weak areas you still have remaining. If you can afford to purchase official GED practice tests, we highly recommend that you do. Official practice tests are made by the same people who make the actual GED. This makes them the gold standard because you can be sure they will match the format, content, and difficulty of the actual GED. GED Ready sells official GED practice tests, and they cost $6 per subject. If you were to purchase a practice test for each of the four sections, that would cost you a total of $24. 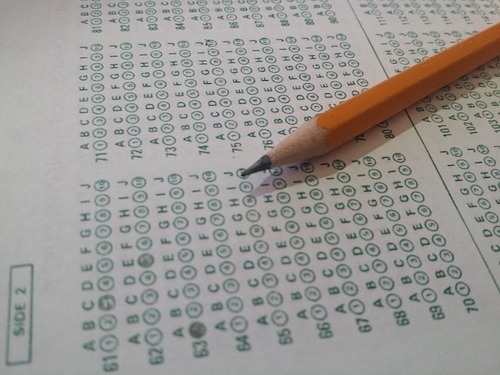 The practice tests are computer-based, and after you complete each section, you’ll receive your results and information on how likely you are to pass that section. These are high-quality practice questions that will give you a great feel for the real GED, but there are some drawbacks. First, each section is only half as long as it will be on the actual GED, which gives you less practice and doesn’t allow you to learn how well you’ll hold up during a longer test. Next, you can only take each practice test once. You can purchase multiple practice tests for each GED subject, but that can get expensive quickly, so you really need to make the most out of the one time you can take each practice test. You can also purchase official flashcards with practice questions on them. These aren’t quite as good a study tool as practice tests, especially if you only study a few at a time, because they don’t give you the same experience of taking a full-length test. However, they are a good resource if you want additional study practice (although they likely contain many of the same questions the practice tests do, so we don’t recommend purchasing both). There are thousands of flashcards for each GED subject, and it costs $15 for 30 days worth of access per subject. After the official GED practice tests, these are the best resources to use because they are still a close match to the actual GED in terms of format and quality of the questions. The best paid GED practice tests come from prep books that can be purchased as a physical book or an ebook. Below are the three best GED prep books available. If you only want to pay for one set of GED practice tests, we recommend you purchase the Kaplan prep book. It’s not an official source, but Kaplan works with the official makers of the GED to create very realistic practice tests. These practice tests are second only to official prep materials in terms of quality. This GED prep book comes with two full-length practice tests (one in the book and one online), over 1,000 practice questions, and written and video lessons. Two practice tests isn’t a huge amount, and some resources offer more, but the materials that you get with this book are high quality, and it’s a good overall resource for people looking for the whole study package: lessons, practice questions, and complete exams. For those looking for a GED practice test with more explanation on how to solve tricky questions, the GED Preparation book by Test Prep Books may be the choice for you. It only includes one full-length practice test, but it has in-depth explanations for all the questions, as well as explanations for all the topics you need to know for the exam. If you’re struggling to raise your score, you can use this book to learn the material you need, then take the test it includes to see how much you’ve improved (although you’ll likely need to take additional practice tests from other sources to get enough practice in). Princeton Review offers a GED prep book which contains five practice exams and over 800 practice questions. This is great if you’re looking for a lot of GED practice, but they aren’t quite as good a resource as the official or Kaplan practice tests. Some of the practice tests are shorter than the actual GED tests, which can make it difficult to figure out if you’re answering questions quickly enough to finish the test in time. Others mentioned that these practice questions are harder than the actual GED, so they ended up studying topics they didn’t need to know. If you’re looking for a lot of practice, this book can be useful, but make sure you’re aware of its shortcomings. While there are some good free GED practice tests available, none of them are awesome, so we highly recommend paying for at least one practice test so you know what a high-quality practice GED looks like. Free GED practice tests range from good to pretty bad, so be careful which free resources you use. Many aren’t updated for the newest version of the exam, some don’t have the same format as the actual GED, and some don’t test the same topics or have the same level of difficulty as the GED. 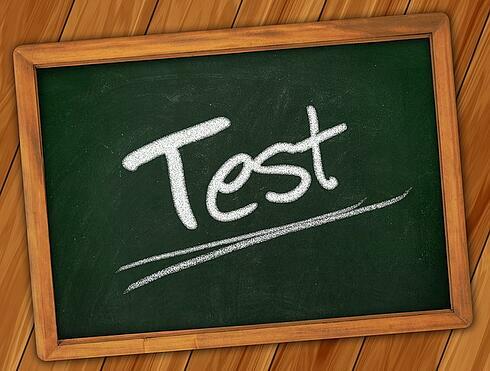 In this section, we go over all the best free GED practice tests that are available. Be aware that, for all free GED practice tests, none are as long as the actual GED, and many are quite a bit shorter, so you can’t use them to get practice taking a full-length practice test. This is one of the better free GED practice tests available. It’s updated for 2019, is fairly long (though not as long as the actual GED), and has in-depth answer explanations. There are about 25 questions per section, which isn’t as much practice as some of the sites that offer 100s of questions, but they’re a close match to what you’ll see on the GED. 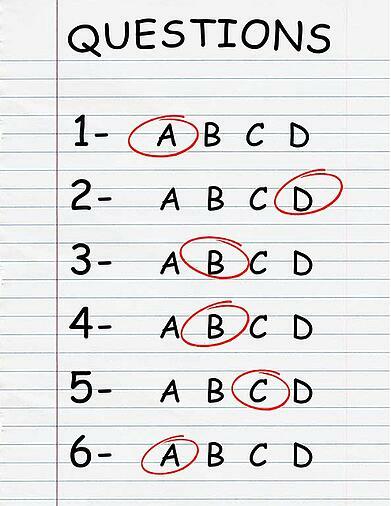 This is a solid practice test with questions that are similar to what you’ll see on the GED. A drawback is that it has some formatting differences compared to the actual test, and you’ll see if you got the question right immediately after you answer it, instead of waiting until the end of the section like the real GED. Also, the test isn’t timed, so if you’re working to improve your timing, you’ll need to use additional GED practice tests. These practice tests are significantly shorter than the actual GED, making them more like practice quizzes, but they are fully updated and are similar to actual GED questions. There are multiple tests for each section of the test, and the site also includes answer explanations and information about the format of the GED. Similar to the Test Guide resources, this site includes numerous short practice tests for each section of the GED. The practice tests are each significantly shorter than the actual GED so you can’t use this site to practice the GED’s format, but it’s another source of good practice questions. This highly-rated Android app includes over 1,000 practice questions you can study with. The questions include in-depth answer explanations, and the app automatically stores all the questions you get wrong in a challenge bank so you can try them again. You can also set score goals and get notifications when you meet them. The major drawback of this app is that it doesn’t use the same format as the actual GED does, so it’s better for shorter study sessions compared to taking it as a full-length test. Mometrix includes a practice test for each of the GED sections. The practice test is fairly short, about 15 questions in each section, but the questions are high-quality, so it makes a good resource if you need a bit of additional GED practice. Varsity Tutors has dozens of GED practice quizzes. Most of these quizzes are quite short, some just a few questions long, but they are broken into specific categories which can be useful if you’re looking to target your studying. For example, the GED Math practice tests are broken into categories such as linear algebra, finding slope, and circles. There are also longer GED diagnostic tests for the Math, Social Studies, and Language Arts sections. If you’re studying for the GED, you absolutely need to take practice tests to make sure you’re on track to pass each section of the exam. Practice tests are great because they give you a feel for the GED and let you know which areas you still need to improve in. The absolute best practice tests are official practice tests because you can be sure they’ll match the real GED, but there are also unofficial options (both paid and free) available). What is a GED? Read our complete guide on GEDs for everything you need to know about this important exam. If you're hoping to attend college but are unsure how to begin the search process, check out this step by step guide for doing college research. Students who earn a GED may choose to attend community college for a year or two and then transfer to a four-year college. Read our complete guide to transferring colleges to learn more about this process.